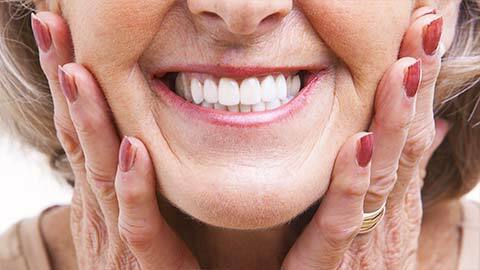 Dentures replace lost teeth with attractive, natural looking replacement teeth. Whether you need a partial denture for a few missing teeth, or a full denture for an entire row of missing teeth, we can help you choose the solution that’s right for you. 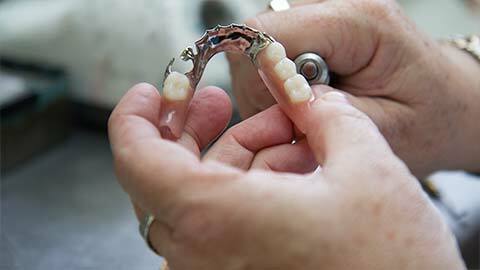 Traditionally, dentures are held in place by natural suction, clips, or adhesive. We offer a more permanent option with implant-mounted dentures. 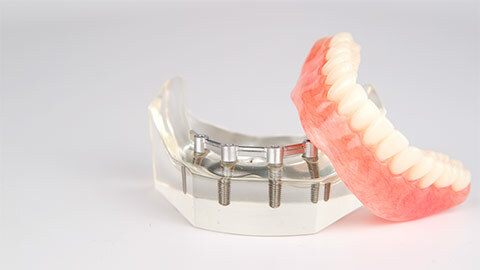 These dentures, available in full or partial styles, are mounted to dental implants placed in your jaws. Implant-mounted dentures are much more secure than temporary dentures and they won’t shift while you are eating or speaking. Contact us today to book a denture consultation.